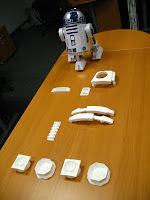 Steve's R2-D2 Building Blog: First parts arrived! 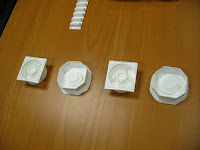 The first set of resin pieces arrived a few days ago...and I have to say, I am really impressed. 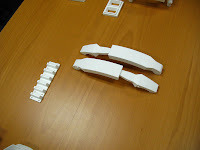 The parts are all very well crafted. The next step is to clean, sand, clean again and paint. My dome looks like it might be out to me as soon as two weeks. Don't know when the body kit is due to arrive. 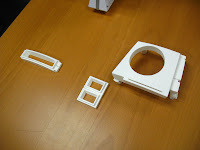 Here are a few pics of the parts. Standard R2 colors? I've seen some...interesting ones on your link pages.